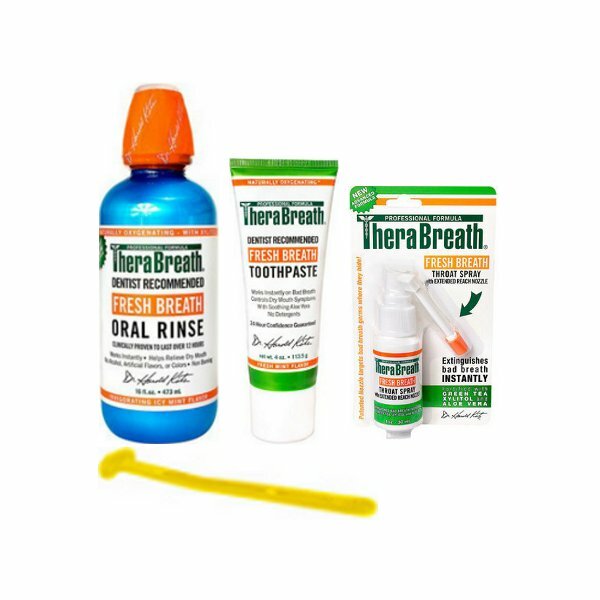 The Therabreath Essentials pack contains the three Therabreath products necessary to get bad breath causing bacteria under control and to deal with both occasional and chronic bad breath. 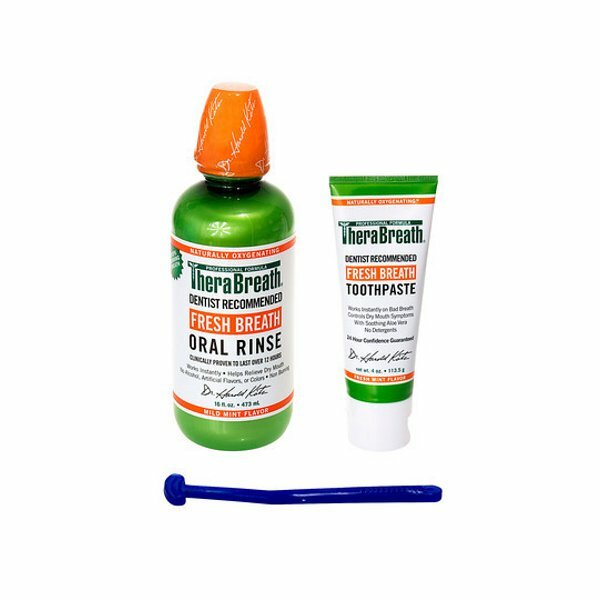 Run the tongue cleaner along the length of your tongue a few times starting as far back as possible to remove the thin layer protecting the bacteria living in between the hairs on your tongue. 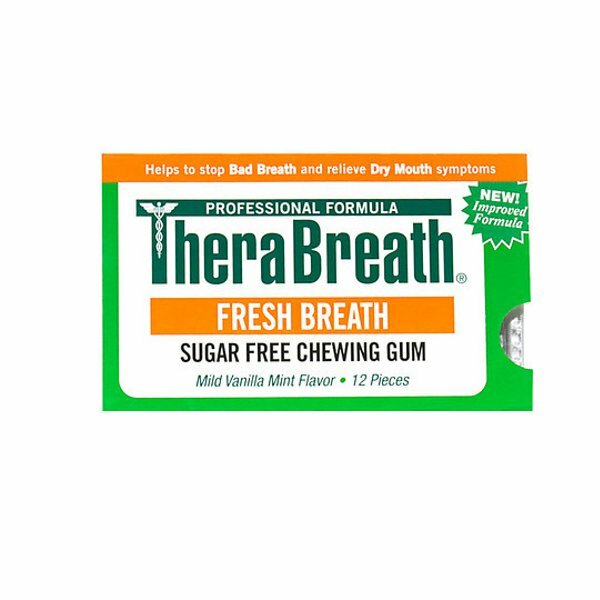 Place a small amount of tooth paste onto the tongue cleaner and run again over your tongue. 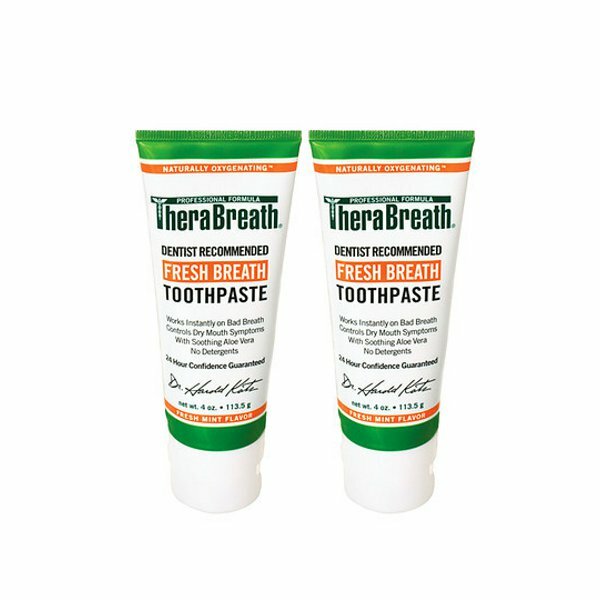 Place a small amount of the toothpaste onto a soft tooth brush and brush your teeth and gums for at least 90 seconds ensuring to brush the roof of your mouth and inside of your cheeks. 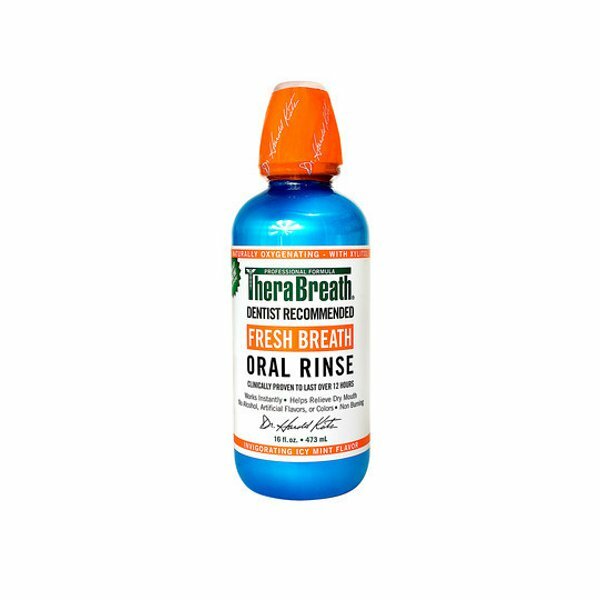 Spit out and then rinse and Gargle with 1 to 2 measures of the Therabreath PLUS oral rinse for at least 90 seconds.